Professor Shaw graduated from the University of Otago in 1974. He holds both a Doctor of Medicine and a Doctor of Science degree and is a Fellow of the Royal Australasian College of Surgeons both in General Surgery and Vascular Surgery. He is a member of the Head and Neck section of the Royal Australasian College of Surgeons, a member of the Society of Head & Neck Surgeons USA and a member of the Association of Endocrine Surgeons USA, and the Endocrine section of the Royal Australian College of Surgeons. Initial training was in New Zealand followed by specialty training in London, Harvard Medical School Boston, and Sloan Kettering Cancer Centre in New York City. Professor Shaw has been a consultant surgeon in the Auckland area since 1984 and has performed several thousand surgical operations. Principal areas of expertise are in thyroid, parathyroid, parotid, submandibular and other salivary gland surgery along with the management of neck lumps. He is also an expert in the management of early and advanced malignant melanoma along with other skin cancers. 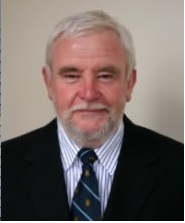 Between 1990 and 2000, Professor Shaw was Senior Examiner in General Surgery for surgeons training in general surgery in New Zealand. He is the sole New Zealand member of the James IV Surgical Society (previous members being Sir Brian Barrat-Boyes & Sir Archibald McIndoe), a surgical society limited to 100 surgeons world-wide. Professor Shaw is the author of over 100 publications on surgical matters, and has delivered and continues to deliver presentations both in New Zealand and internationally.